Feeling a little bit of spring on it’s way yesterday. It’s making me think about yellow and black, bumblebees to be exact! 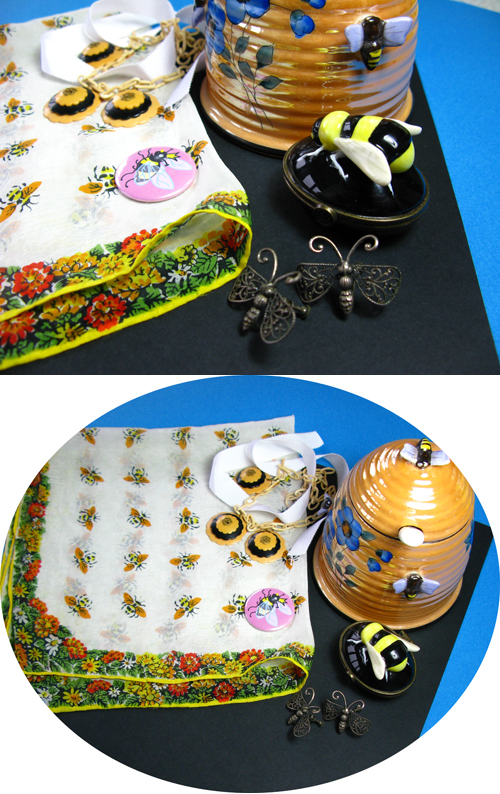 Here’s a little tableau of some of my bee related objects. I sometimes see myself as the Queen bee, stinging people with my tattoo needles.